Home security systems are supposed to protect families, their loved ones, their pets and the things they hold dear. This is why The Bureau of Security and Investigative Services (aka the BSIS) paired up with the state level Departments of Consumer Affairs to license and regulate the companies (and their employees) responsible for manufacturing, selling and installing these systems. This article will focus on the regulations put in place in California. Retail stores can sell the systems too, but they can only sell them inside the store. They are not allowed to perform any functions that would be provided by an alarm company. Any company that monitors the system must be licensed to do so by the state. The local government can also require that an alarm company buy a business permit. Sometimes, depending on the local government, system owners or renters can be charged extra fees. Get at least three estimates from different security companies before you commit to a purchase. Check each company’s licensing information online or by calling your state’s 1-800 number. 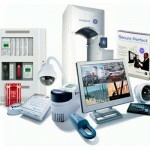 Ask friends who have security systems which companies provided the system and why they chose to work with that company. Most importantly, make sure that your contract spells out who is going to be monitoring our system. The contract must also contain language about the company teaching the buyer how to use the system. Some states will require payment plan details to be spelled out if the buyer is paying more than $250 for the system as well as any details about fees required by the local government. Note: Consumers should not ever pay more than a thousand dollars (or ten percent of the contract price, whichever is less) as a down payment for the system and its installation. The contract must also contain language about renewal or “rollover” dates and terms. Most contracts renew automatically and the details and dates for that must be spelled out. The details of the cancellation process (if the customer decides not to renew) must also be spelled out. If buyers aren’t sure whether or not a system or alarm system service is legitimate, they should contact their local BSIS office.